If you compare Pokémon: Let’s Go, Pikachu! and Pokémon: Let’s Go, Eevee! to other, more traditional Pokémon role-playing games, you’ll notice a significant amount of differences. The game makes changes to almost everything that matters — catching Pokémon, interacting with them, battling with them, and making them stronger. Catching mechanics follow a design much like Pokémon GO. By far, the biggest change in the games, and easily the most controversial one, is the single most important mechanic in the Pokémon role-playing games — actually catching a Pokémon. Traditionally, Pokémon role-playing games would have you randomly encounter a wild Pokémon by searching through tall grass, vast oceans or within caves. Upon encountering those Pokémon, you would battle against them with your own team of Pokémon, using a variety of different strategies to make it easier to catch that Pokémon. Pokémon GO introduced audiences to a brand-new mechanic that wasn’t at all based on the ones from the video games. GO’s system allowed players to see the Pokémon they’d like to approach, choose to engage with them and then be given the chance to throw Poké Balls at them.  GO’s capture system, the moment you encounter the Pokémon, is incredibly simple: you see a Pokémon, and you use your phone’s touch screen to throw balls at it or use items to make it easier to capture. Outside of Raid Battles, no form of wild Pokémon battling would occur. Game Freak have faithfully recreated this mechanic in the Let’s Go series, and to a large extent, it’s translated across very well. Pokémon are encountered roaming around the field rather than appearing in battle randomly, and to engage and capture them, you must approach them. You capture them in a manner akin to Pokemon GO: the capture screen appears with the ability to throw Poké Balls, choose items from your bag, or leave the battle. There are two control schemes used to throw Poké Balls. 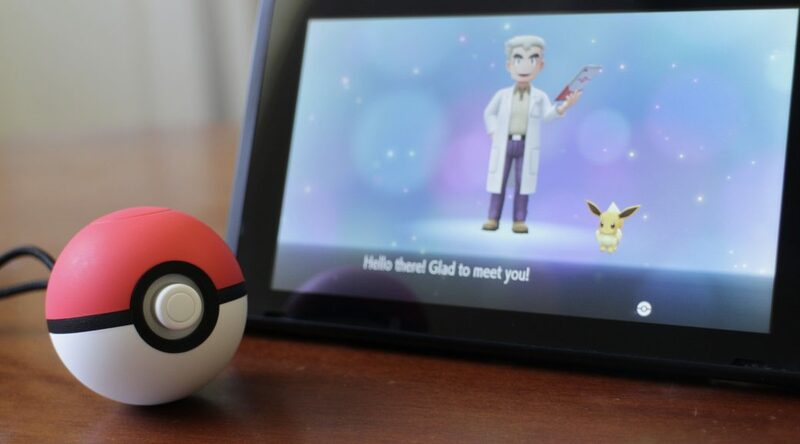 When the Switch is docked or in tabletop mode, you’ll capture Pokémon by waving the Joy-Cons or Poké Ball Plus in the direction you’d like to throw the ball. 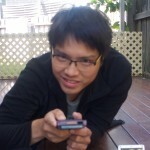 When the Joy-Cons are connected and the Switch is in handheld mode, the game opts for a different control scheme entirely. The handheld control scheme uses motion controls to move the camera around to capture the Pokémon, with the Poké Ball always thrown in the center of the screen. Like in Pokémon GO, a Pokémon can move around the screen, flail around the same erratically (and move around at the same time), attack the ball, and if it’s not a legendary Pokémon, may flee the battle after a varying amount of time. You’ll also notice that catch rings are here, too — the outer, white ring which is usually where you should aim for the Poké Ball to work, and the inner, colored “target ring” which indicates the difficulty of the capture. Much like GO, the target ring shrinks toward the center before resetting itself and shrinking again, and throwing within that ring lets you score Nice, Great and Excellent throws. Compared to the variables used for GO when touching the screen to throw a ball — particularly angle, distance and speed — the two control schemes for Let’s Go are rather simple. Some may find them easier to work with, particularly when you’re trying to get Excellent throws. However, the control schemes in Let’s Go aren’t without their own set of flaws, as we’ll discuss below. Using motion controls to throw the Poké Ball can be an exercise in frustration. Most times, catching Pokémon requires a moderate swing, but the game can discern a weak or strong throw — the ball will fly up a little and then be brought down to bounce on the floor, or fly high and far, well over the target. Given that there are barely any scenarios where you’d need to use these throws, the game effectively punishes you for not swinging at the right speed. Moreover, the direction the ball throws can sometimes be inaccurate — what should be a a straight throw ends up shooting to the left or right of the Pokémon, or vice versa. The issue can be reduced by throwing the ball a little slower, but it’s still not entirely accurate. Being able to control the direction is necessary for when it does work, though — Pokémon can move around the screen much like they can in Pokémon GO. The camera pans around automatically to make it possible to catch, but for a Pokémon that can’t stand still, you’ll be changing your throwing direction a lot. 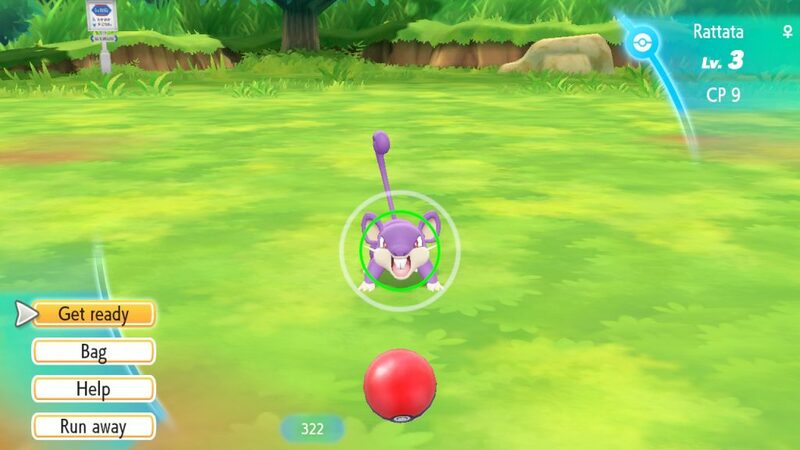 The game is, at least, lenient with the direction the Poké Ball is thrown — if thrown in the general direction of the Pokémon, it’s likely to go straight for the center of the Pokémon rather than, say, slightly to the left of the target ring. Handheld mode can be, by comparison, a lot easier to work with, but it still has its shortcomings. To catch a Pokémon, you’ll need to rotate your screen and then press the A button to throw a ball. You’ll need to spend time making sure the Pokémon is centered, and as with most gyro controls, the game is particularly sensitive. Rotating the screen becomes a pain with certain Pokémon jumping around the screen a fairly long distance, as well as some Pokémon who almost never stop moving. Despite the quirks, however, you may find this mode to be preferable to using the Joy-Cons, and it’s a shame that this mode isn’t an option for when your Switch is docked. Perhaps if you’re acquainted enough with GO, you might prefer swiping at the Switch’s touch screen instead, which is strangely left unused. Let’s Go, Pikachu! and Let’s Go, Eevee! incorporate most of the elements of catching Pokémon in Pokémon GO, warts and all. Like in GO, you can use items to help with capture — Razz Berries and Nanab Berries have returned to serve their exact purposes. (Pinap Berries are here, too, but instead increase the chance of getting items after battle, rather than that specific Pokémon’s Candy.) Once again however, if the capture fails, the item is used up and the Pokémon will need to be given the item again to get the same effect. Capturing wild Pokémon can yield tons of experience and some useful items. In contrast to GO, your reward for capturing Pokémon in Let’s Go isn’t just Candy. The Let’s Go games instead opt to make item drops happen on occasion, with increasing chance of item drops, and in greater amounts, when the same Pokémon is captured as part of a Catch Combo. A successful capture will always yield Exp. 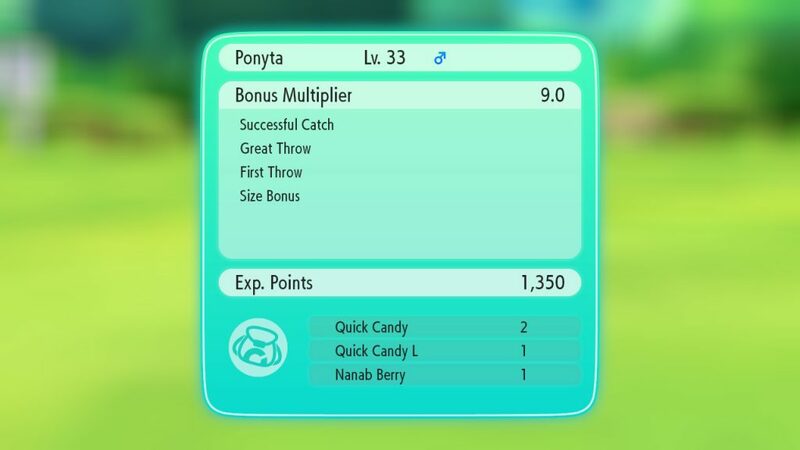 Points — variables such as the size of the Pokémon, landing within the target ring, being in sync with another connected player, and the current Catch Combo count, will multiply the earned points. The calculated Exp. Points are then given to each of your Party Pokémon, and then any bonuses, such as for traded Pokémon or Pokémon with high affection, will be applied, which can lead to rather generous amounts of Exp. being awarded. The wallop of points perhaps attempts to compensate for not having traditional wild Pokémon battling and gaining experience from that. Given that the award can far exceed what a wild battle would’ve given your Pokémon, it has the added bonus of making it much easier to grind your Pokémon’s levels. Catching Pokémon in Let’s Go, Pikachu! and Let’s Go, Eevee! is a fairly enjoyable experience, even with its occasionally irritating wrinkles. How it compares to wild Pokémon battles and how much it matters depends on the players. Compared to actually battling the Pokémon, where players were encouraged to (but did not necessarily need to) battle to weaken the Pokémon to make it easier to catch, wild Pokémon encounters in the Let’s Go games are dependent almost entirely on luck. Couple that with the inaccurate throws and the chance for a Pokémon to flee, and you have something that works almost entirely like Pokémon GO, for better or worse.